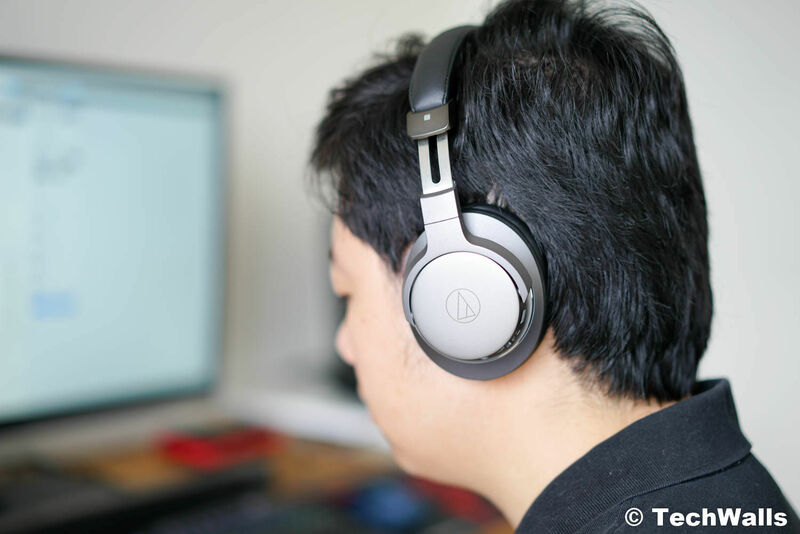 There are a few brands that I always recommend to audiophiles and Audio-Technica is one of them. 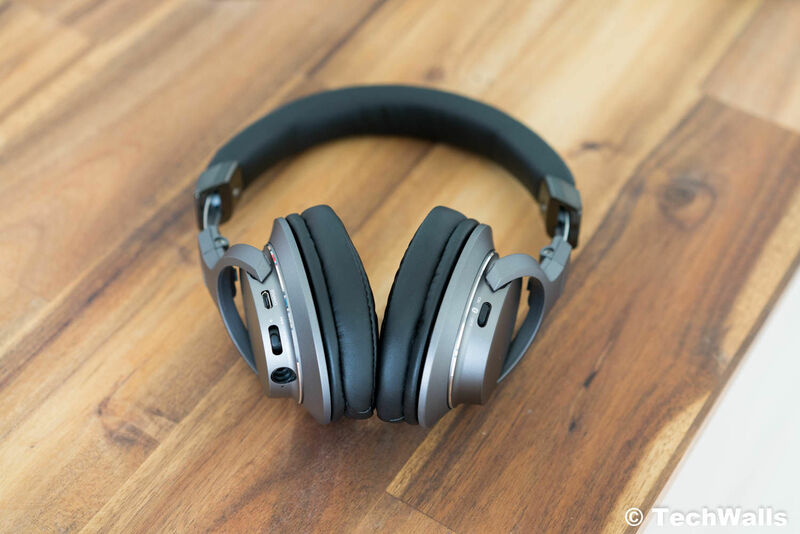 The Audio-Technica SR6BT is my first wireless headphones from the manufacturer and I really hoped they would bring all the best features to the headphones. Let’s find out how the SR6BT performs. Inside the box, we have a 1.2 m cable with on-line controls, a USB charging cable, a soft carrying pouch, and the headphones. 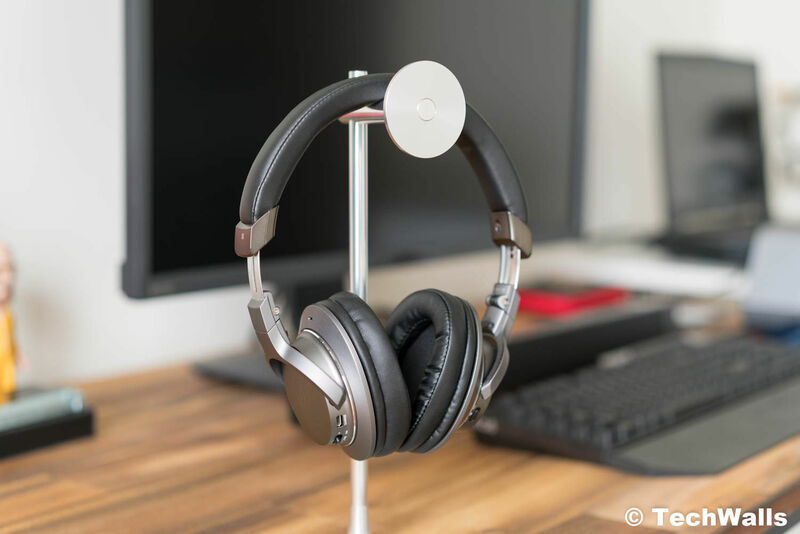 The headphones have an over-ear design with foldable earcups, this makes the whole package more compact when you are traveling. The earcups can’t be folded flat, so be careful not to break the joints. The SR6BT might not have the solid build and sleek look of the MSR7 but a great advantage is that it’s more lightweight. Since these are wireless headphones, all controls and connections are placed on the backplate of the earcups. On the left side, there are a microUSB charging port, a play/pause/volume/track skipping switch, and a 3.5mm audio port. On the right side, there is just a power switch. The earpads are very soft with memory foam padding, however, I wish that they could be a little wider. Now, the pads still touch my outer ears and make extended listening sessions uncomfortable. The headphones are more pleasant to wear than on-ear headphones but they can’t beat my larger over-ear headphones. One of the most impressive features of the SR6BT is the 30-hour battery life. I couldn’t measure it exactly but it could last about 4 weeks in my normal usage. It’s really amazing that I could use the Bluetooth headphones for a whole month on a single charge. Some other notable features of the headphones are NFC for quick pairing and the support for Qualcomm aptX, AAC and SBC codecs. There is also a built-in microphone on the left earcup, allowing us to take phone calls without touching the phone. I tested the headphones in the Bluetooth mode only because there are better wired headphones on my desktop. Unlike most other headphones in the sub-$200 price range, the bass from the SR6BT is actually very accurate, fast, and punchy. It is not the overwhelming muddy bass as heard on cheap headphones. 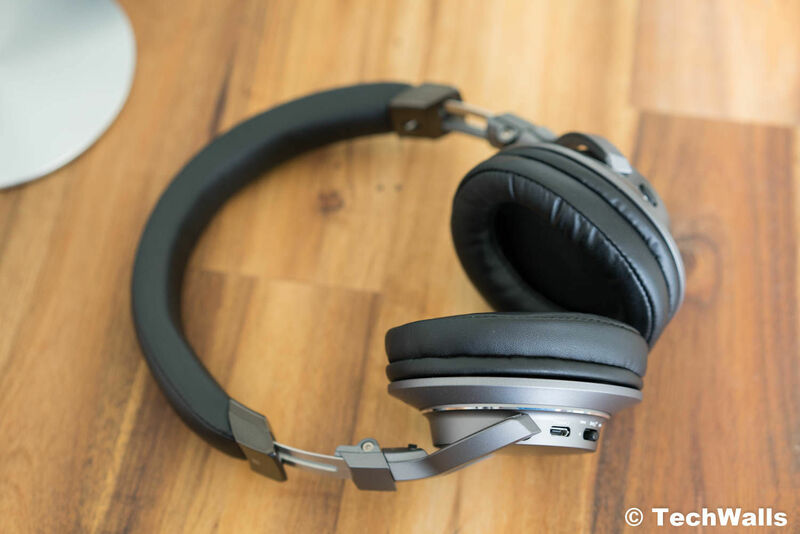 The low-mids are slightly recessed, that could make some tracks feel drier than other headphones. When I listen to some male vocalists like Andrea Bocelli, I don’t see the warmth in his voice. The headphones are on the bright side but the treble is very well controlled and it is not causing ear fatigue. Most of the energy is put into the mids and highs, therefore, I can hear details and instruments clearly in the frequencies. You will be surprised with the amount of details coming from these headphones, especially when you switch from bass-heavy headphones. It seems like the SR6BT uses the same 45mm drivers as the MSR7 and MSR7NC, I can find many similarities in sonic characteristics among the headphones but there are some subtle changes as well; The MSR7 headphones sound just a bit richer, warmer, and brighter but the mids are less pronounced. The soundstage of the SR6BT is pretty good as well, I can hear the separation of instruments and stereo imaging, however, it is not spacious as some other headphones on my desk. My only concern is that there were short high-pitched sounds occasionally. I don’t know where they come from as I didn’t experience this issue on any other Bluetooth headphones. Actually, I heard the annoying noise twice with these headphones and don’t know how to reproduce it, so I’m not sure if this is a problem of the headphones or my playback device. If you are using these headphones and see this issue, please leave a comment below. 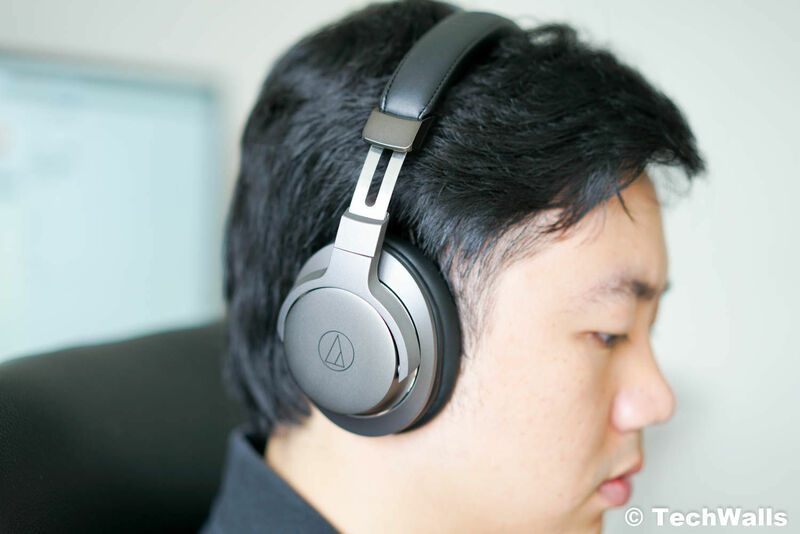 The Audio-Technica SR6BT are decent wireless headphones but they are not easy to buy at the moment. If you can find them for around $150, this is really a good deal and an easy recommendation from us. Just don’t buy it for a boomy bass.